The K 2 Full Control Home power washer includes the new targeted pressure regulation trigger gun. This machine includes a home kit with a patio cleaner accessory and detergent. 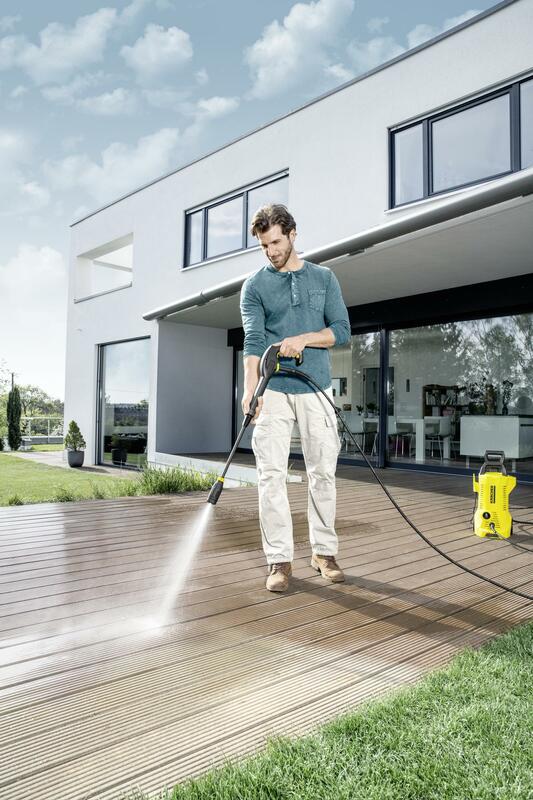 K 2 Full Control Home 16734050 https://www.kaercher.com/uk/home-garden/pressure-washers/k-2-full-control-home-16734050.html The K 2 Full Control Home power washer includes the new targeted pressure regulation trigger gun. 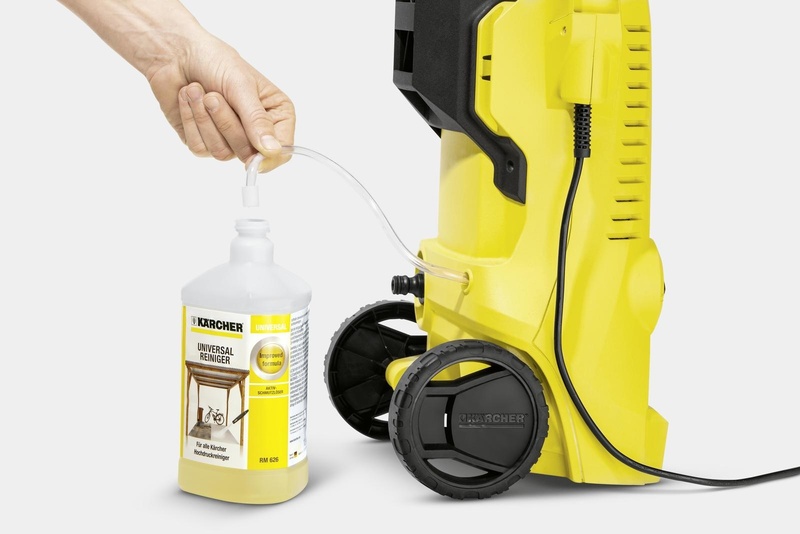 This machine includes a home kit with a patio cleaner accessory and detergent. 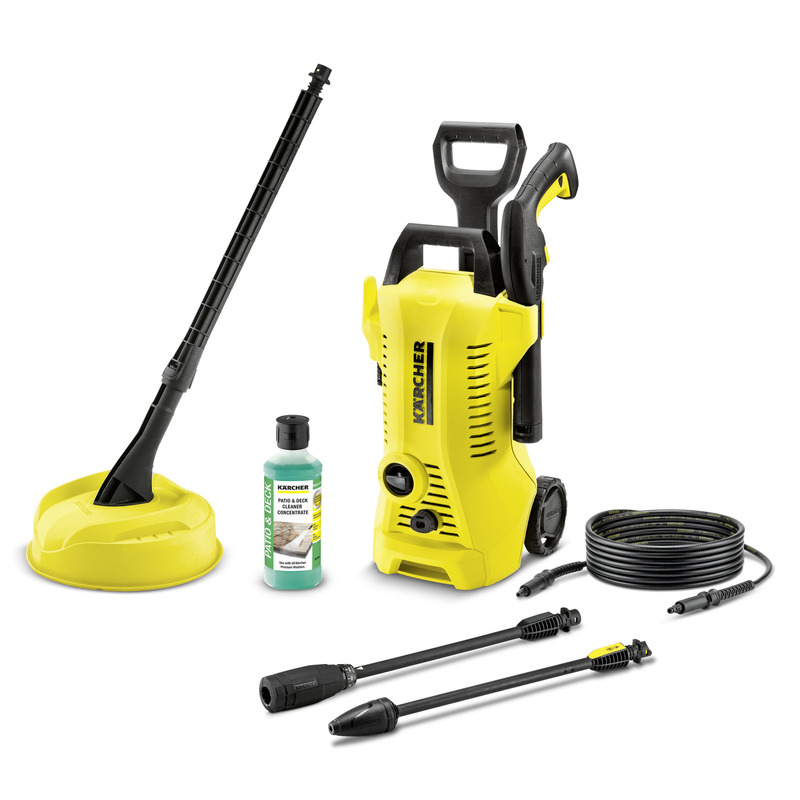 Perfectly equipped for use on light dirt all around the home the K 2 Full Control Home power washer comes with a home kit that includes a T150 patio cleaner which enables the splash-free cleaning of larger areas such as a patio or decking and 500ml Patio & Deck detergent to help remove stubborn algae. 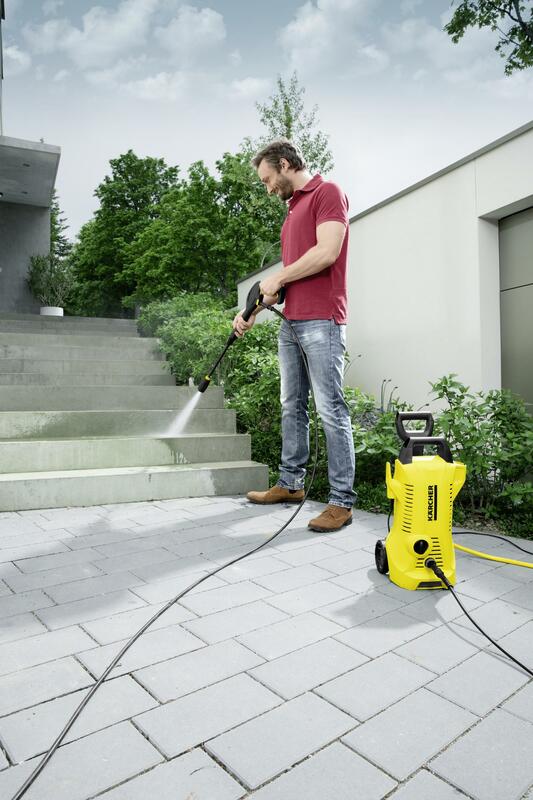 The K 2 Full Control Home power washer also comes with wheels and telescopic handle for easy mobility, a 4m pressure hose, water filter to protect the pump against dirt particles, a dirt blaster lance with rotating point jet for removing stubborn dirt and a Full Control Vario lance. The Full Control Vario lance uses a click system to ensure you use the correct pressure for any surface with a simple twist of the lance you can chose from 4 different settings – Mix to draw detergent, Soft, Medium and Hard. This gives you the confidence to ensure you are using the correct pressure setting for the surface you are trying to clean. 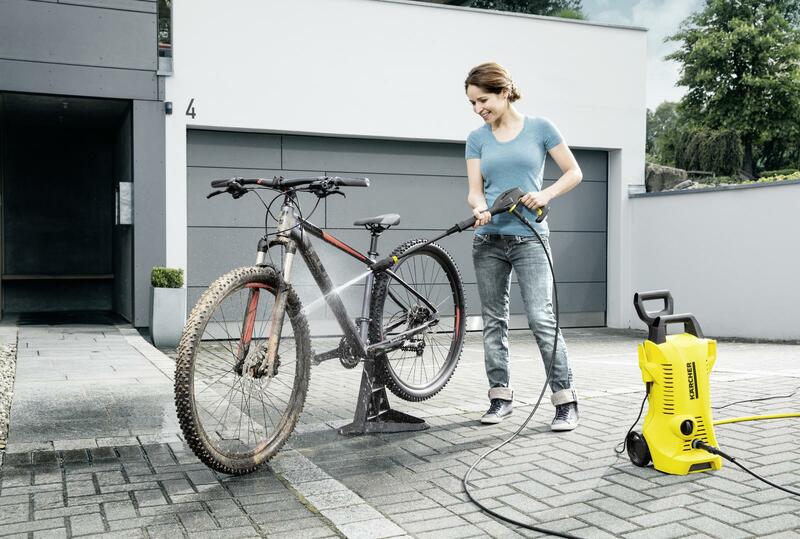 The power washer is ideal for dirt on bicycles, garden tools and garden furniture This machine comes with a 2 year manufacturer’s warranty. Gives you direct feedback as to the pressure setting you are on, ensuring you get the right pressure setting for the surface you are trying to clean. Settings are chosen by turning the Full Control Click Vario Power spray lance A symbol shows the pressure setting on the respective spray lance. Spray lances are always within easy reach and everything can be compactly stored on the device once cleaning is complete. Not all living spaces come with generous storage space. 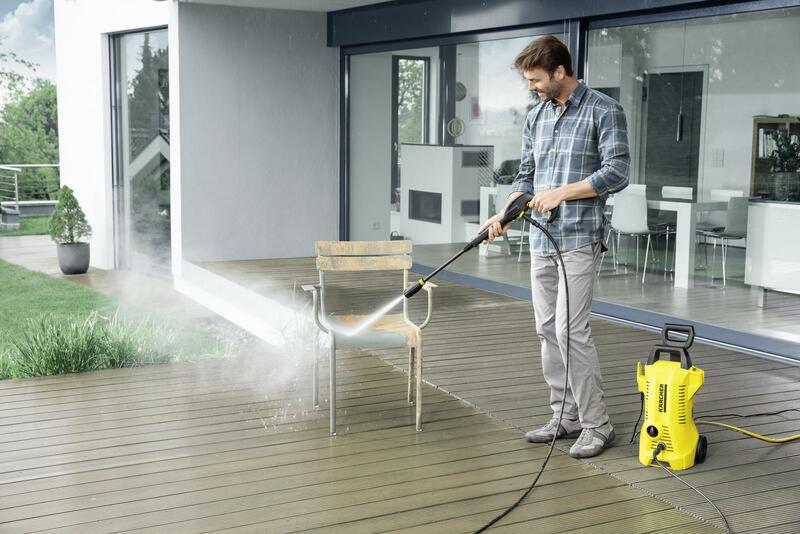 The Kärcher K2 home pressure washer’s upright design saves you space, while the on-board storage solutions keep your Kärcher accessories, cables plus hose and trigger gun stored neatly on the machine. Suction hose for use of detergents. Kärcher detergents increase efficiency while cleaning, help prevent dirt from returning and help to protect and care for your surface. K 2 Full Control Home is rated 4.6 out of 5 by 48. Rated 5 out of 5 by 12EMILY from Great features Haven't used it yet. But had a Karcher before for my patio. Does a great job in cleaning. Rated 5 out of 5 by JK01 from Great value Very good in cleaning patio and driveway. Very easy to use. Rated 5 out of 5 by Grumpy Grandad from Perfect tool around the home Paths and patio have never been so clean, the lady of the house is so pleased. Rated 5 out of 5 by Cxxx from Incredibly powerful! I bought this to clean my patio which had a heavy growth of moss as well as algae & mould. It has done a fabulous job cleaning it & I thought the patio cleaning attachment was really good. Rated 5 out of 5 by Anonymous from Karcher a name you can trust. Bought this direct from Karcher because of the reliability and the extra years guarantee by buying direct. Rated 5 out of 5 by Totalrubbish from Lighter and does the job. It's light to use and does the job. Easy to store out of frost.